After having a little bit of a spicy sip for Cinco de Derby yesterday with our Mango Jalapeño Julep, I thought it would be good to take thing a bit over to the tart side of life. We’re taking beautifully sweet and citrus Meyer lemons, and squeezing them into a delightfully fresh julep for Kentucky Oaks day. While you enjoy this unique mix, be sure to follow along with the Fatty on social media. All day today, we will be sharing live from the top floor at the Kentucky Oaks race at Churchill Downs. Meyer lemons are one of my favorite citrus picks. Of course, since they are a fav, they have a super-short season and are only available for a limited time. Go grab a bunch up, because you’re going to be upset when you run out of this mix. 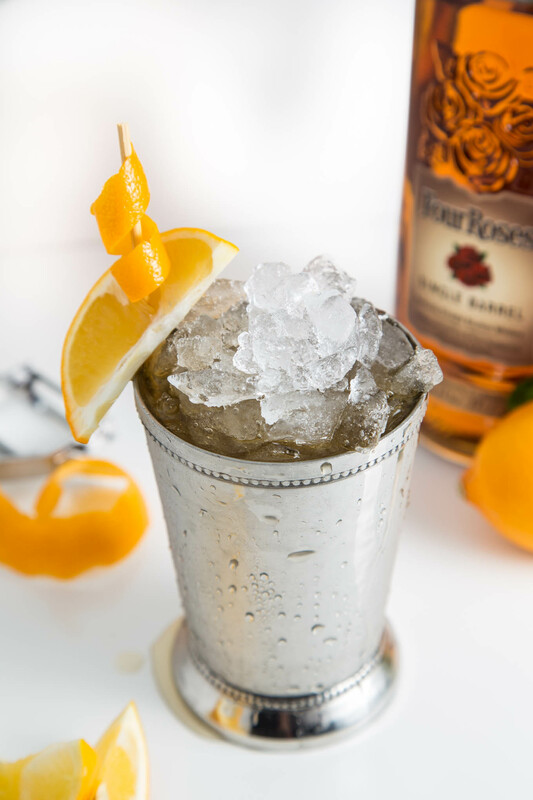 The classic julep is made with Kentucky bourbon. Bourbon and lemon just go beautifully together. Bourbon and Meyer lemon go even more beautifully together. The bit of sweetness in the Meyers, along side of the bit of a bite couldn’t be a better fit. 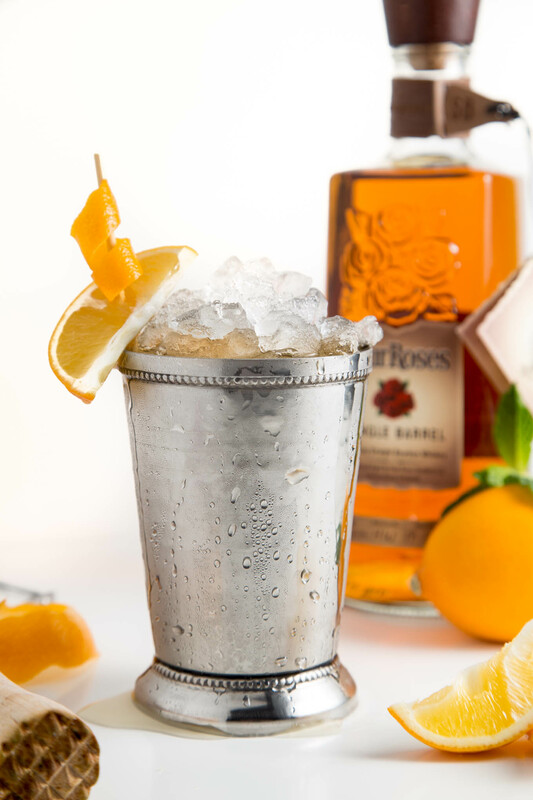 Simply made, this is the most fresh twist on the classic julep pick. Be sure to check out our other Julep Week blends while you’re here! Follow along on social media to watch our view at the Kentucky Oaks race live! A sweet and sour twist on the classic julep. Meyer Lemon Julep on SouthernFATTY.com. In bottom of chilled julep glass, add Meyer lemon quarter and sugar/syrup. Muddle lightly. Just bruise the mint, don't tear it up. Fill with crushed ice. Add bourbon. Lightly swirl and enjoy with a straw and mint sprig beside to smell the mint while drinking. I think this one might be my favorite mint julep that you’ve shared. Everything is better with meyer lemons! It’s soon good! Meyer lemon is just a while world in itself.